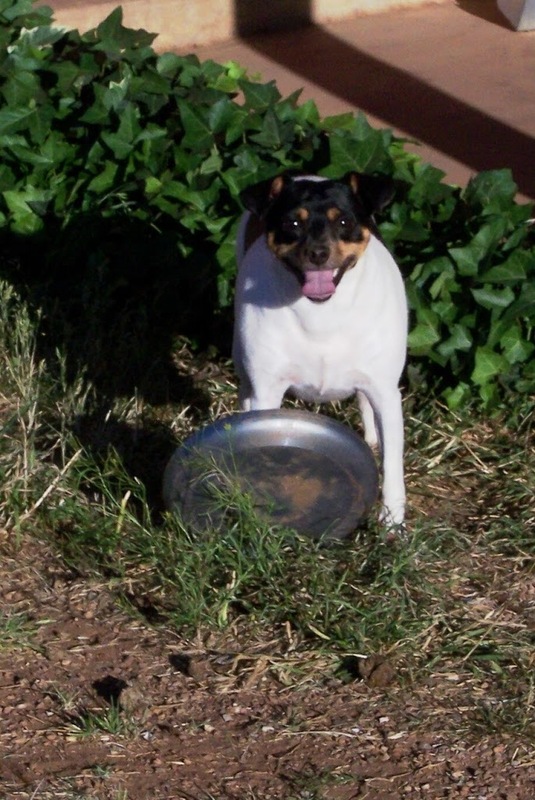 When my sister and I were younger, our dad used to play Frisbee with us. To alert us the round disc was about to be sent our way, he’d say, “Ready Hezzy?” And we’d know. I searched for a photo of a Frisbee gliding through the air, but couldn’t find the right one. This one showed up instead. I think this dog is Ready Hezzy. What do you think? All this brings me back to a post I wrote the beginning of the year, when I proclaimed my word of the year to be “Ready.” Nearly five months have past since that declaration, and I’m finding myself laughing at my five-months-ago self. She clearly had no clue how ready she really was! The very same day I was composing that post, I received a call with a job offer. Ready or not, there I went. It was exciting. I was thrilled. It felt like an amazingly good fit! The word had been a good one, it seemed. I was ready for my new adventure. Now, I’m at the threshold again of another major change. On Monday, I accepted an offer for a different job, and had to send a letter to my current employer to alert them of my forthcoming departure. That was hard to write. It’s been a great job and they’ve been super to me. I feel so grateful for that opportunity. After much discernment, however, here I go again. And I am excited. For the curious, I’ll be working as the communications director and editor for the Diocese of Fargo. I’ll be writing for and producing a diocesan newspaper and helping keep the channels of communications between the diocese and the public open and flowing. It’s going to be yet another interesting chapter in my life. I’m thinking again about that Frisbee. I was never much good at it, being the younger one whose coordination didn’t quite match my father’s and sister’s. The way a Frisbee flies definitely depends on the coordination and capability of the person throwing it. So many times in life, I’m afraid to admit, I haven’t flown smoothly through. Looking back, it’s the times I’ve allowed myself to be steered by inept hands that things didn’t work so well. Whenever I’ve done that, it’s led me to a sudden halt, much like the Frisbee in front of this dog. Whenever I’ve let God launch me, however, things seem to work better. I am not left wagging my tail with my tongue hanging out wondering what’s next. I am up in the air on my way somewhere. Even if I can’t see all the details right away, I can make out some of the pathway ahead. And I am being delivered from one set of capable hands into another. With this latest move, as with the earlier one, I brought myself to the feet of God before making a decision and asked Him to take me where He could best use me. That landed me at the newspaper for fives months. And now, I’m floating again. Soon I’ll be onward to the next leg of the journey. It’s been quite a ride, and something tells me I’ve only just begun to traverse the best part, thanks be to God, who responds when I ask for His assistance. Yes, I do believe I am! Q4U: What about you? Are you Ready Hezzy? Congratulations Roxane! I wish you abundant blessings as you joyfully go forward in the manner in which God is leading you! I’m so excited for this next adventure in your life! Nice post, Roxane. I continue to send my prayers and love to you as you journey on, finding the path that is right for you, trusting, growing, nurturing. Rock on Roxane! What an exciting twist in your path! Praying blessings your way! I’m so excited for you, Roxane – we missed our ’50 days to have coffee’ time – so let’s shoot for the first 50 days of the new adventure – You will be in my prayers! What a journey Roxane! I cannot think of anyone better to take on this new role. Living by faith is easy to say but difficult to do. You are a shining example of living out faith. Thank you! Vicky, Mary, Laura, Kim, Katie…thanks for making my transition easier through your generous words. Katie, it’s not always easy, but I haven’t figured out a better way to move through this life yet. 🙂 I’m so grateful I have God to lean on; I couldn’t do it alone.